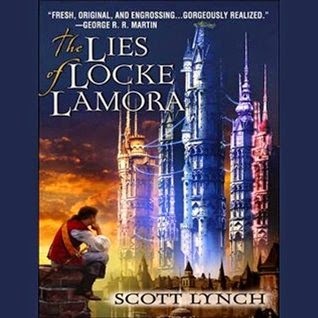 Locke Lamora is an orphan living in the city of Camorr, an old city built on the even older ruins of an alien race's city. As an orphan, he's almost fortunate to get taken into the Thief Maker's gang, be taught the skills of a street thief, and subsequently be sold to Father Chains. Chains teaches his carefully selected family of orphans to be highly skilled con men--the Gentleman Bastards. 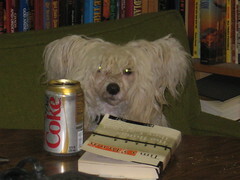 As an adult, leader of the Gentleman Bastards after the death of Chains, Locke enjoys both his "work" and his position as the leader of a small but reasonably well trusted gang in the criminal underworld ruled by Capa Barsavi. Then other gang leaders, of more powerful gangs, start turning up dead in unlikely and unpleasant ways. Someone has declared war on Barsavi, and Barsavi calls on Locke to help him deal with the problem. With a major con game under way, the duke's intelligence chief finally on his trail, and Barsavi dangling marriage to his daughter as an inducement to Locke, he's got an awful lot to juggle, and he and his friends are soon struggling to keep all the balls in the air. Then Locke discovers that the mysterious enemy, who calls himself the Gray King, has something far more evil than just taking control of the Camorr's criminal underworld. This is a complex, detailed, lived-in world. Locke, his friends, and his principal enemies are well-developed characters with strengths and weaknesses, and even the most minor characters are more than just placeholders. The plot is nicely developed and quite intriguing.